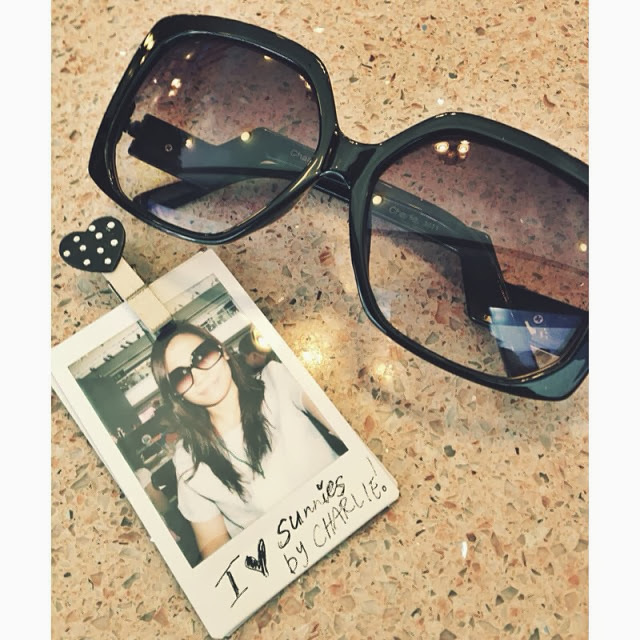 For a "forever summer" country like ours, one can never have enough sunnies. Seriously, for such a cute 60s / 70s inspired brand like Sunnies by Charlie, there will always be room for another sunglasses in your collection! Last Thursday, sandwiched between Philippine Fashion Week shows and my SuperSale Bazaar was the star-studded launch of the Sunnies by Charlie at their very first "Sunnies Station" at the Mall of Asia. Infer, asa theme ako! Hehe. Hipsters Alert: The Sunnies campaigns utilize guerrilla style photography shot mainly on film in Los Angeles and Palm Springs. From unisex, retro-inspired and classic styles, Sunnies has a pair to suit all demographics of the contemporary market. Sunnies offers curated eyewear with UV protection starting at only Php249! This cute pair of Corey Sunnies is for Php299 only! ...or any Charlie boutiques. Shop online via zalora.com.ph/sunniesbycharlie.